Dates: Nov – March dates and times vary check website for details. This Kids wonderland, Kidtopia, is the perfect family getaway this winter season. 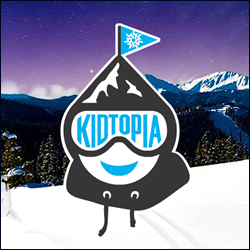 Plan your great Kidtopia trip to Keystone Resort with great activities including: face painting, the medieval dinner, adventure paint, snow fort, fireworks, riperoos parade, cookie decorating, and more! Family weeks vary so check the website for details to Keystone Kidtopia!